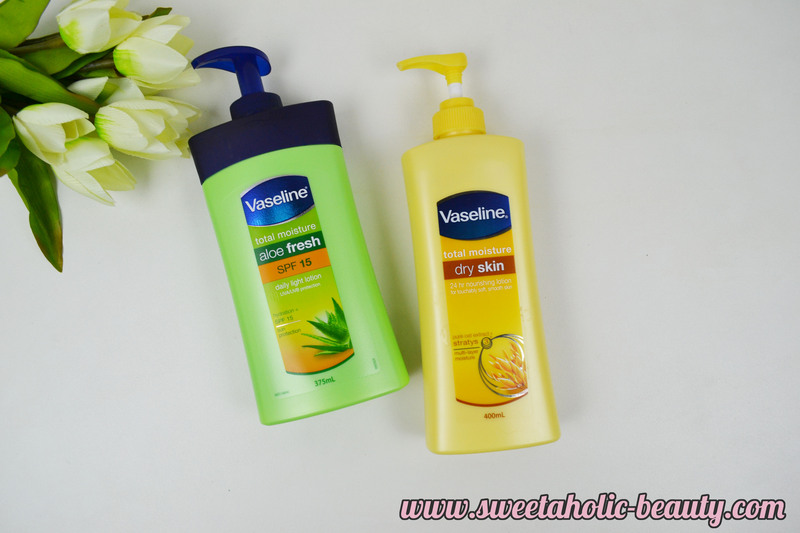 Vaseline has been one of my favourite body moisturisers, hands down, for the past few years. Vaseline has been a household name since before I can ever remember, and there was always a tub of it sitting in my family bathroom cupboard. As I've grown up, so has Vaseline, and they are suddenly creating some innovative and downright awesome products; one of those being spray on moisturiser! I started out with one bottle of Vaseline Total Moisture Aloe Fresh, and have ended up with more than a few of their skincare products in my collection. 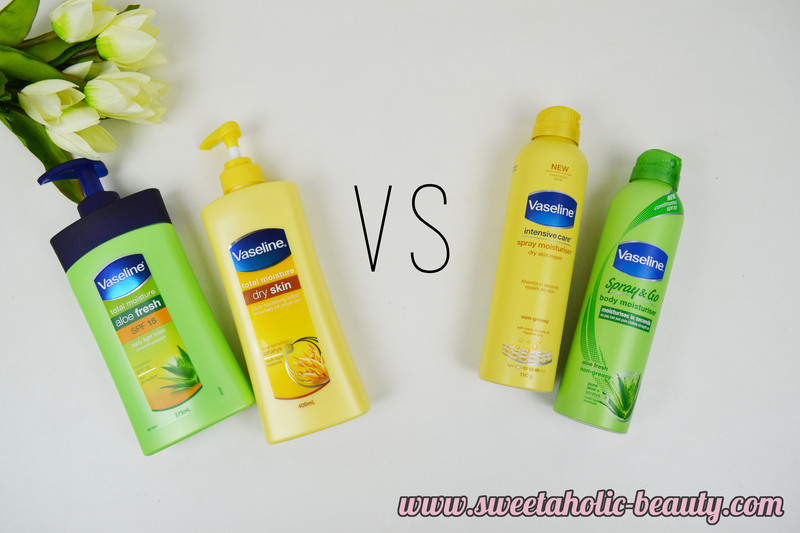 After I tried the new spray on moisturiser, I really wanted to do a comparison of the two moisturisers and share my pros and cons. Okay so hands down, this particular lotion is my absolute favourite. It smells crisp and fresh, it feels lightweight on my skin and it absorbs super quickly. I love to use this all over my body as it's not too thick and doesn't clog up my pores. I find that the Dry Skin version of the lotion is a lot thicker, so it's perfect for skin that is in desperate need of hydration. This lotion also contains pure oat extract to help with moisturising your skin. Personally, I do not use this all over, as my skin can be a little bit sensitive, but I adore using this on my legs after I shave - especially in winter. Essentially this is the spray version of the Total Moisture Dry Skin Lotion. In saying that, the spray version is a lot less dense and doesn't clog up my pores at all. I find that I still retain that deep moisture feel, just without applying an excessive amount of product to my skin. This is the spray version of the Total Moisture Aloe Fresh however the spray version does not contain any SPF. The spray version keeps the same beautiful scent and still has a very lightweight feel. If I had to pick between this one and the lotion, I would probably pick the lotion; however I would opt for the Intensive Care Spray Moisturiser in the dry skin version. 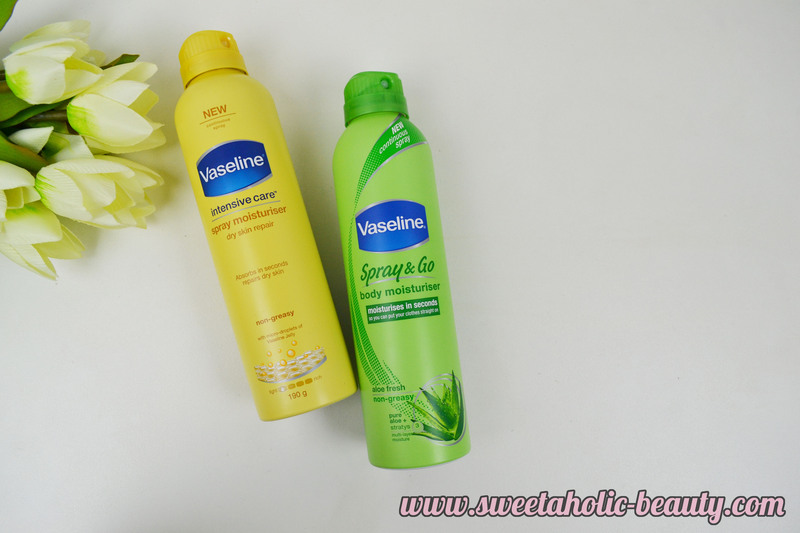 I'm incredibly impressed with the new spray products that Vaseline have released, and they are certainly making my life a lot easier. I often find, especially after a long day at work, I just don't have the energy or time to bother moisturising all over. Having the option to just spray it on and quickly rub it in saves a lot of time - and it's pretty fun too. Although it does seem to be a bit of a novelty product, it has won me over. I still love my regular lotions and moisturisers, as I love a good intensive moisturiser sometimes. But for day to day, the spray goes a long way! 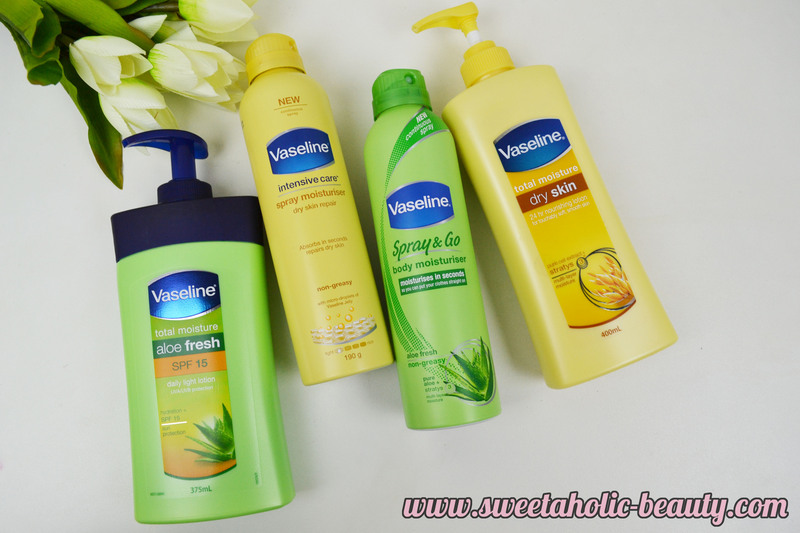 Have you tried the Vaseline Lotions and Sprays yet? If so, what are your thoughts? I haven't tried the sprays yet but it's on my to try list! Great review! I love the idea of the sprays, but find them a bit impractical, so I always go back to a lotion. Love those sprays, but they don't last for long!